Justin Bieber wins five awards at MTV EMA's in Milan ~ CK Jacob: Nigerian Fiction And Lifestyle Blog. Justin won best male, best North American act, best collaboration, best look and Worldwide act: North America. 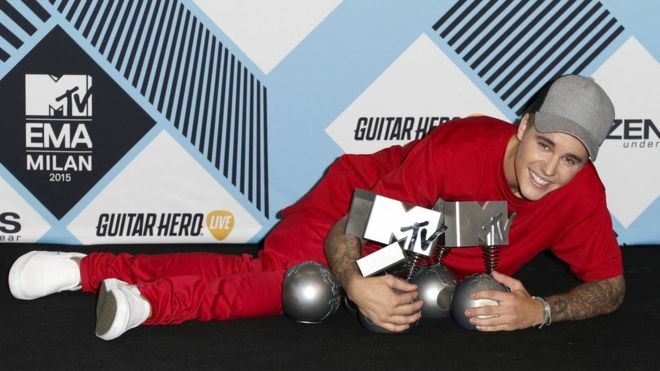 Accepting his best male award, Bieber said: "It's been a long couple of years, um, I just feel like this is pretty awesome to be recognised for my music. Best collaboration - Justin Bieber, Skrillex, Diplo: Where Are You Now? Good for him. He is working harder as he grows older. I was going from site to site looking for answers till i read a post by Rose Williams and Clara Robinson at first i did not give it much thought, but my mind was still bothered.so i decided to contact Hacklove441@gmail.com to help catch my cheating spouse,he delivered as was promised he is really a genius,he also does P.I jobs clears your record, passwords,changes your school results(did that for myself son)I love him and his work. you should try it.